Tony Mitton is an award winning poet who lives in Cambridge. 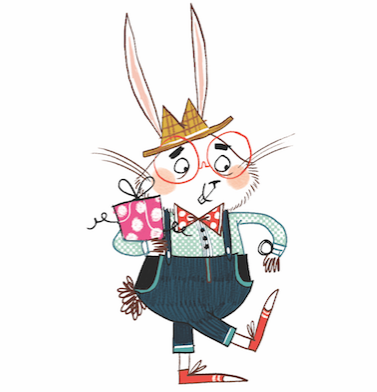 He has previously delighted children and adults alike with his lyrical and narrative verse which was featured in the brilliant book Wayland. This is a beautifully told tale reinventing the northern legend of Wayland the Blacksmith. It was fantastically decorated with lovely images by the talented John Lawrence and is a must-have book to track down and read. Potter's Boy is Tony's first ever novel and will be published at the start of November (2017) by David Fickling Books. I'm sorry for the early review, but this is such a fantastic story that I couldn't stop myself from reviewing it. It is definitely one of my favourite reads of this year. I can't help but think that this book is based on Tony's childhood and his upbringing, from living in places like North Africa and Hong Kong. 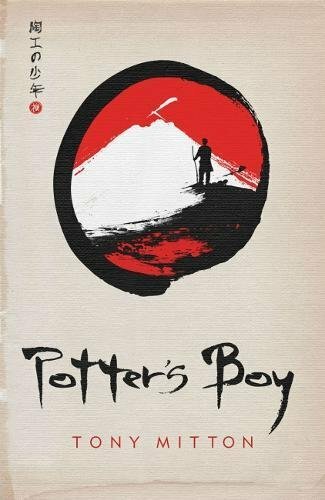 His dad served in the British army and Potter's Boy is heavenly influenced by Buddhism and the arts/traditions of China and Japan; it really makes this story special and a real joy to read. The story is a poignant one. It is told from the older perspective of the main character Ryo, now aging in life, who tells the story of his former young self and reflects on the journey that he set out on so many years ago. The story cascades through a picture of tranquility and an idyllic village life in medieval times. As a potter's son, he's destiny to take up his father's noble trade, but this all changes when Ryo witnesses a stranger scare a set of bandits away from the remote village. The mystery man moves so deftly and swiftly that he actually dances his way to tackling the brigands and scaring them away. Ryo is so mesmerized by this display that he wants to train to become a warrior and a hero. Leaving the safety of his family, and the sleepy village in the mountains of Chazan, he goes in search of his dreams. This path leads him on a journey to find his own way in the world and a deadly path of self-discovery. Three important encounters change his life forever and make this an epic fantasy filled adventure. The story reflects a way of life and traditions in a deep and rich Asian culture that you will soon become immersed in. The historical reality has a deeper meaning that the reader will pick up on. It is an exciting and thrilling journey to the heart and soul; a book that will make you think and listen. I really loved the landscape the author has painted, not with brush strokes, but with beautifully artistic words. The narrative is molded like a vase that turns into a vision of a potter's son and the adventure that he took in finding the meaning of life. This is a traditional tale that I would really recommend to anyone and everyone to read. It is a very well-written story that flows like poetry and washes over the reader in so many ways. Get this on your reading list. It is published in November 2017 as a beautiful hardback book - you will not be disappointed.